Gili Gili Fast Boat, Badung, Indonesia. Information, Photos and Reviews. 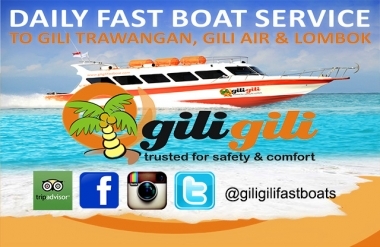 Gili Gili Fast Boat is an Indonesian company operating under the name PT.Trans Marine Indonesia specializing boat building, mechanical supplies and marine operations.Gili Gili Fast Boat was established in 2009 to handle daily boat transfers from Bali to Lombok & the Gilis (Gili Trawangan & Gili Air). Our boats operate return services from Padang Bay in East Bali and Serangan Bali to West Lombok including Teluk Nara, Gili Trawangan and Gili Air.The company has a full-service boat management office in Bali as well as representatives in Lombok & Gili Trawangan. 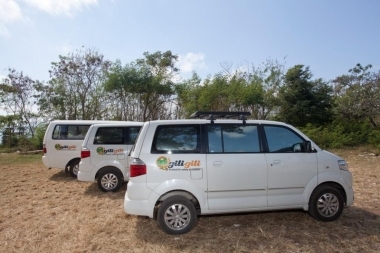 Our services range from routine maintenance and detailing to comprehensive operational administration. Our team is fully qualified in boat operations and maintenance with necessary local knowledge to provide passengers with a pleasurable boating experience. 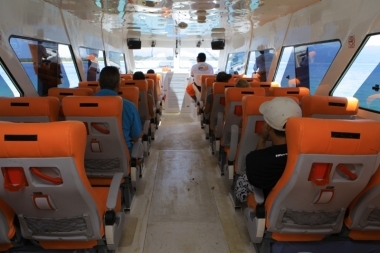 We also offer private charters for groups and individual leisure to explore the islands. 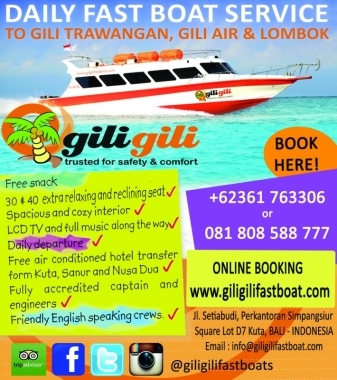 Nobody has reviewed Gili Gili Fast Boat yet, Be the first. You are submitting a booking enquiry. 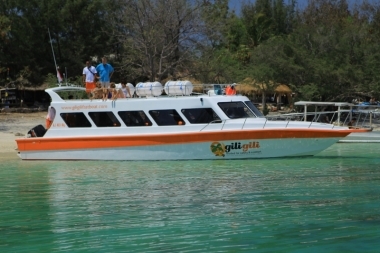 Gili Gili Fast Boat will then contact you by email with details of availability and prices.